San Juan is a shopper's paradise. Bargains can be found (or struck), the local souvenirs rank far above the typical t-shirt and shot glass assortments you'll find in the Caribbean (although you can get those too), and the variety is astounding... and that's even if you don't venture into the largest mall in the Caribbean. Those with an eye for fashion may well want to devote a day or two to San Juan's boutiques. 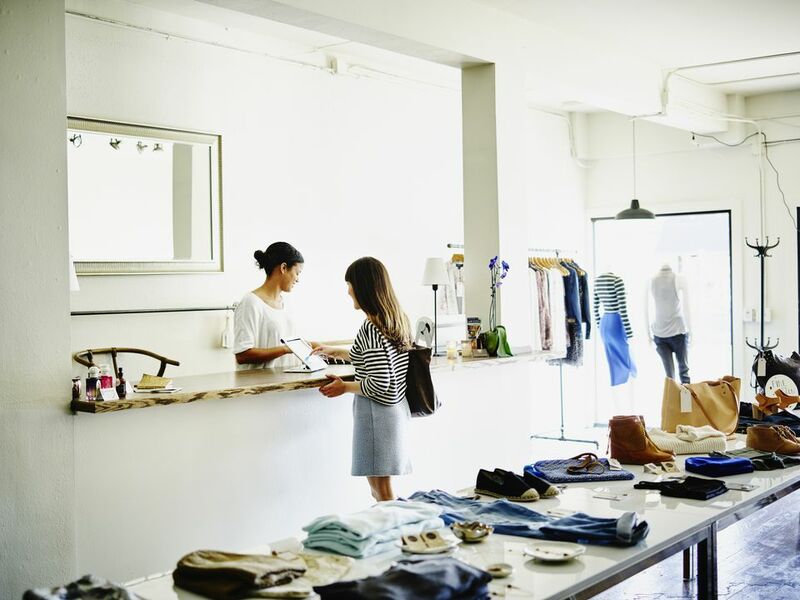 Here are some boutiques that offer something different from the popular U.S. chains you'll find in the city (which includes quite a few decent outlets, by the way). One of our favorite designers in Puerto Rico for women's wear, Lisa Cappalli is known above all for her lacework, detailed tailoring, and feminine fashions. Her line runs from casual to formal, and everything is handmade. In truth, many Puerto Rican women carry a Cappalli piece in their closet. Her attractive store has a prominent location just off Plaza Colón in Old San Juan. The store is located at 206 O’Donnell Street. The first fashion show we attended in Puerto Rico was a Stella Nolasco showing at the Museum of Art. We were more than impressed by the elegance, sophistication, and eminent wearability of her collection. She's rightfully considered among the best designers in Puerto Rico (her collections have been featured at Neiman Marcus), and her boutique and atelier in Old San Juan are for those with discerning tastes who love a blend of modern and nostalgic in their style. The store is located at 161 San José Street in Old San Juan. Nono Maldonado is one of Puerto Rico’s most prominent fashion designers, known for his elegant men and women’s collections. The man who did all the interior design for the swank and sophisticated Chateau Cervantes, Nono specializes in linen (his men's linen shirts are a signature item), and his line includes made-to-measure and ready-to-wear clothing for men and women. This is one of the finest boutiques in Puerto Rico, if not the Caribbean. The store is located at 1112 Ashford Avenue, #2A. A newcomer to Condado's fashion scene, Piña Colada Club is a bright, colorful boutique that stocks ready-to-wear resort fashions, including an attractive line of swimsuits and silk sarong wraps. The Club is all about looking good while you're on a Caribbean island. The store is located at 1102 Magdalena Avenue. In a nondescript section of Condado, Mademoiselle (nothing to do with Monsieur, covered below), specializes in French and European fashion. The boutique stocks exclusive brands like BleuBlancRouge, Newman, Gerard Darel, and other in-vogue fashions from Italy, Spain, France, and Germany. Mademoiselle combines affable and professional service with elegant ready-to-wear clothing and accessories. The store is located at 1504 Ashford Avenue. This unique boutique in Old San Juan carries a funky, casual line of handmade bags constructed in Puerto Rico by a cooperative of women. They’re not luxurious items, but they are creative and handmade, and make for an interesting budget-friendly accessory. Concalma also gets major points for supporting the local industry and indigent communities in Puerto Rico. The store is located at 207 San Francisco Street. A terrific concept, Hecho a Mano (which means "Handmade") stocks handmade clothes and accessories made using organic materials for a warm, natural look. The company works with handcraft workshops in Puerto Rico as well as workshops in Indonesia, Thailand, Nepal, Bali, and more. You'll find an assortment of comfortable, flowing dresses, wraps, and tops, along with handmade jewelry and other accessories. Hecho a Mano has several locations on the island, but their main store is in Condado at 1126 Ashford Avenue. A high-end boutique for men, Monsieur features distinctive brands like Bugatchi Uomo, Stone Rose, Ballin, and Robert Graham. Anyone looking for an elegant shirt, perfect-fitting pants, and a polished, masculine finished product should head straight to this fashion stalwart in Condado. The store is located on Ashford Avenue #1126. A newcomer to the San Juan fashion scene, we were impressed by the quality and eco-friendly mission at Cariloha, where all the products are made from bamboo. This includes clothing, accessories, and the surprising best-seller, bedsheets. As soon as you walk in, you're invited to feel the difference for yourself. We were amazed at how soft the bamboo yarn is (twice as soft as cotton, say the folks at Cariloha). It's also a few degrees cooler than cotton, making it the perfect island wear. Cariloha is a small chain with stores in the Caribbean, Florida, and, of all places, Alaska. The store is located on 258 Fortaleza Street in Old San Juan.